Hewlett Packard Enterprise is preparing to honour the top performing partners across New Zealand during 2017, at the third running of the HPE Partner Awards. Set for 7 December at The Langham in Auckland, awards are judged on a combination of revenue, performance against target, growth and overall engagement with HPE and customers. Specifically, success will be recognised across eight categories, including Aruba Growth Partner of the Year; Regional Partner of the Year and Service Provider of the Year. 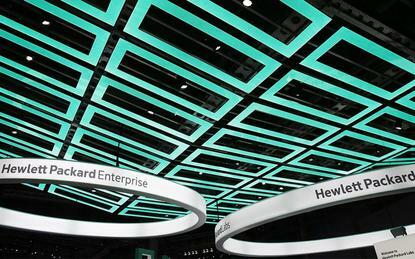 In addition, the channel will be recognised across HPE Growth Partner of the Year; Silver Partner of the Year and Gold Partner of the Year, alongside Platinum Partner of the Year and Distributor of the Year. The giant will also announce the winners of a Koh Samui incentive trip, as well as acknowledging excellence across sales, marketing and technical competencies. In 2016, seven partners took home honours, with Datacom Auckland, Softsource and Origin IT recognised across Platinum, Gold and Silver awards respectively. Meanwhile, Spark Bay of Plenty took out the regional gong, with Manux Solutions recognised for stellar growth across the HPE portfolio, while Fujitsu received similar praise for its work with Aruba. This year however, the competition is expected to be even tougher, following a year of great change across the New Zealand channel, including the appointment of Colin Henderson as new managing director and general manager, replacing Keith Watson in the top role. As reported by Reseller News, Henderson assumed the reins in April, following an “extensive internal and external search” by the tech giant. And while the recent appointment of Dicker Data will come too soon for the 2017 awards, the distribution deal rounds off a busy year for the vendor. Revealed exclusively by Reseller News, Dicker Data has been tasked with turning Cisco partners towards the rival product offering, in response to missing out on the lucrative portfolio in August. As a result, the distributor will commence distribution of Aruba, data centre networking and Nimble Storage ranges, effective immediately.